More than anything else, natural pest control requires a change in the way we think about the problem. If you believe that diet pills are the best way to lose weight quickly, you probably also think that the most efficient way of getting rid of garden pests is to use powerful chemicals. It’s the same mindset: wanting a quick fix without regard to long-range consequences, or even long-term effectiveness. Here at GrowJoy, we can’t advise you on how to best shed pounds, though gardening will help keep you fit, but we do believe in a moderate, safe approach to getting rid of pests. We recommend Integrated Pest Management (IPM). IPM is actually an umbrella-term that refers to a variety of sensible and sustainable gardening practices. They are highly effective when implemented together. You don’t have to be a serious gardener to follow IPM. It’s really just common sense. That kind of earth sense you develop if you lived close to the land and had worked it for years, observing and learning. To help you get started with IPM, we’re going to focus on four of its main pillars. Did you know that by planting native species you will be much less likely to run into pest problems? As the gardeners at Growing Hope explain, Native plants are better protected by their own ‘immune systems’ and their relationships with other plants and animals in the area. Check out wildflower.org to find which plants are native to your region. Within the native plants, you can zero in on those that are the most pest-resistant. 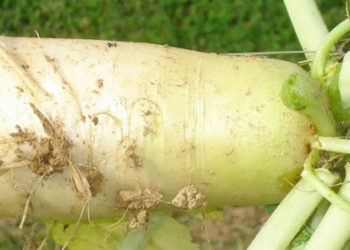 Want to learn more about the most pest-resistant varieties of fruits and vegetables? Try this Wikipedia list. Companion planting. It’s based on the principle that plants can complement each other in mutually beneficial ways. For example, aphids will tend to stay away from tomatoes if chives are planted alongside them. Likewise, planting marigolds next to your pansies will help to keep slugs away. Companion planting can even help to discourage big pests like raccoons. As David Beaulieu explains, if you plant corn and squash together, pesky mammals wanting a sweet corn treat will be discouraged by the prickly squash vines crisscrossing their path. You can learn more about companion planting here. Or, if you just need to know what goes well together and what doesn’t, try the Home and Garden Site. For personalized attention, don’t hesitate to ask a master gardener. If you encourage good critters such as ladybugs, lacewings, ground beetles, birds and bees, they will help to take care of some of your pests for you. In Ecological Gardening, Marjorie Harris writes that the larvae of the ladybug can down 25 aphids a day, the adult 56 a day. And one coupling will produce from 200 to 1,000 offspring. They can get into areas no spray could penetrate. To create an inviting environment for ladybugs, plant one or more of the following: alfalfa, angelica, caraway, cilantro, clover, dill, fennel, marigolds, nasturtiums, or yarrow. Songbirds will go after many of your beetles, grubs, and flying insects. To attract them, gardening expert Theresa Forte recommends a border of fruit-bearing shrubs such as serviceberry, dogwood, viburnum or rosa. Since birds also look for sheltered spots to nest. Make evergreen shrubs such as spruce, cedar and juniper available. Bluebirds will be happy to both sing for you and eat your pests. But they are cavity-nesters. So you’ll need to provide them with a house. Ms. Forte’s final suggestion is to get a birdbath, something that birds as well as bees will love. The IPM approach allows for prudent use of organic biodegradable pesticides. This is because the interventions discussed above won’t always solve pest problems completely. However, the use of inorganic pesticides can harm your pets and even you and your family. The larger picture is that when these substances find their way into the groundwater, they contribute to the pollution of land and water. On the other hand, natural pesticides can be highly effective without doing any damage. Our favorite natural pesticide is diatomaceous earth (DE), sometimes referred to as fossil shell flour. It could also be called microscopic razor wire because when magnified 1000 times, each particle is shown to have extremely sharp edges. When insects eat it, it cuts up their insides and simultaneously dries them out. If they get dusted with it, it also cuts into them when they scratch themselves, and, again, dries them out. Yet it will not harm pets, in fact, food grade DE (which is what we sell) is often given to animals as a parasite treatment. It is so pure that it can even be given to children for this same purpose: a teaspoon a day should do the trick. DE works on almost everything. Ants, aphids, whiteflies, loppers, mites, leafhoppers, cockroaches, silverfish, bedbugs, fleas, box elder bugs, crickets, ticks, slugs, snails, and even scorpions. But be careful to use only food grade DE for gardening or internal consumption. There is another kind used in swimming pool filters that is treated with harmful chemicals. You can apply it yourself (use that mask you bought for Swine Flu), but for larger area you might want to buy a duster. If grubs are what’s eating you and your plants, we recommend a product originally developed by the USDA: Milky Spore Powder. 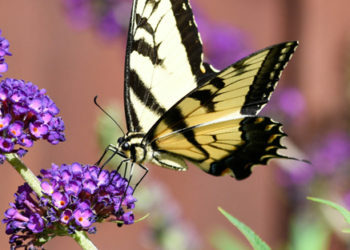 It’s nontoxic to humans and animals and harmless to the beneficial insects in your garden. And one application will do away with grubs for a guaranteed 10 years, and possibly up to 20 years! These results are possible because Milky Spore Powder infects the critters with a bacterium to which only grubs are susceptible. After two or three weeks they die. But the spores remain in the soil, ready to infect future generations of grubs that might happen to find their way into your garden. We’d like to leave you with the thought that there are 200 million bugs for every human being on the planet. This puts things into perspective doesn’t it?